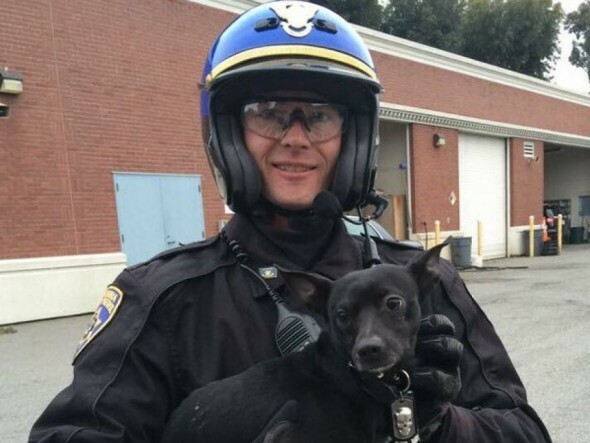 Early this morning a call came into the California Highway Patrol of a little dog stuck on the Bay Bridge. The Chihuahua was running along the westbound lanes of traffic, and people were concerned the dog would be hurt. A CHP officer followed behind the dog, until they got to a point the officer could safely dismount his motorcycle safely, and grabbed the dog. No one was injured in the process, and traffic on the bridge didn’t suffer too much of a traffic jam. The CHP posted a video of the rescue on their Facebook and Twitter pages. Now law enforcement officials are working to get this poor dog back home. They are asking anyone that recognizes the dog call them at 415-554-6364 to reach San Francisco County Animal Care. The dog will be kept safe and sound there until the family is located. 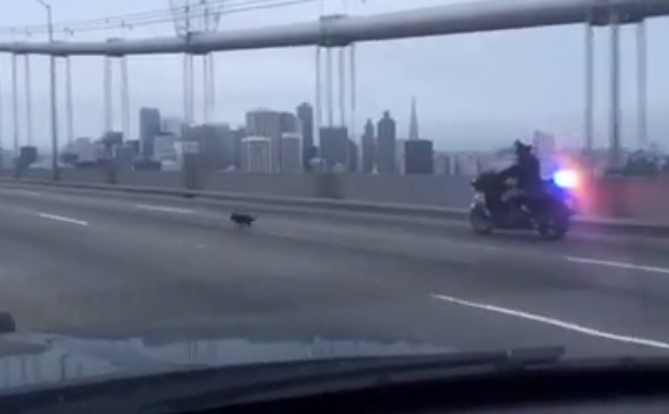 Responses to "California Highway Patrol Rescues Frightened Dog From Bay Bridge"